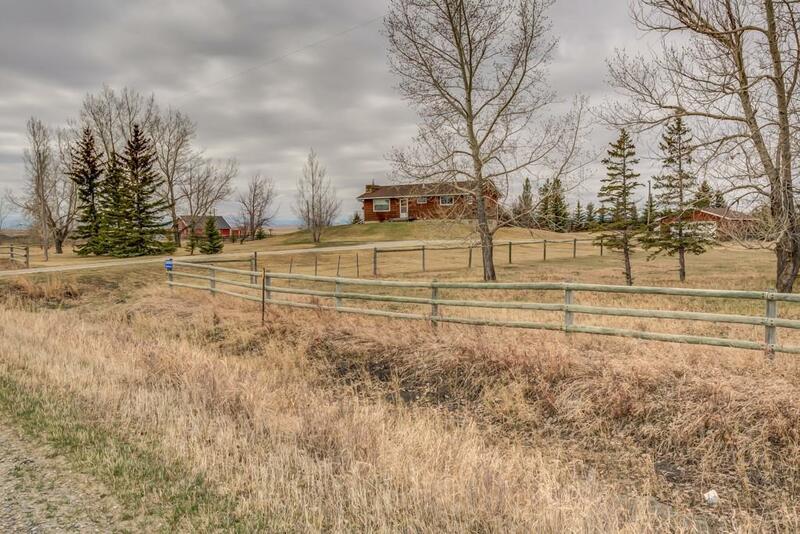 Stunning mountain views from this 11.99 acre horse property! 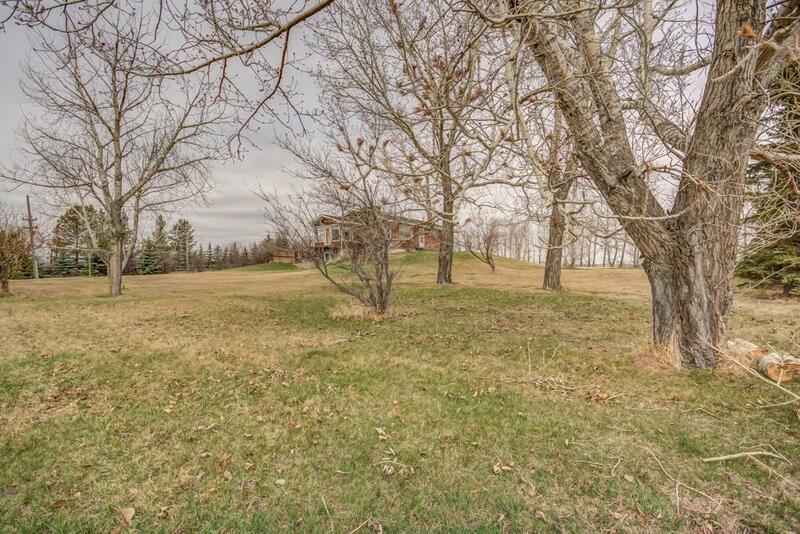 This 1360 sq ft walkout bungalow is located on a dead end road, south of Coal Trail & just 1/2 mile from the river. 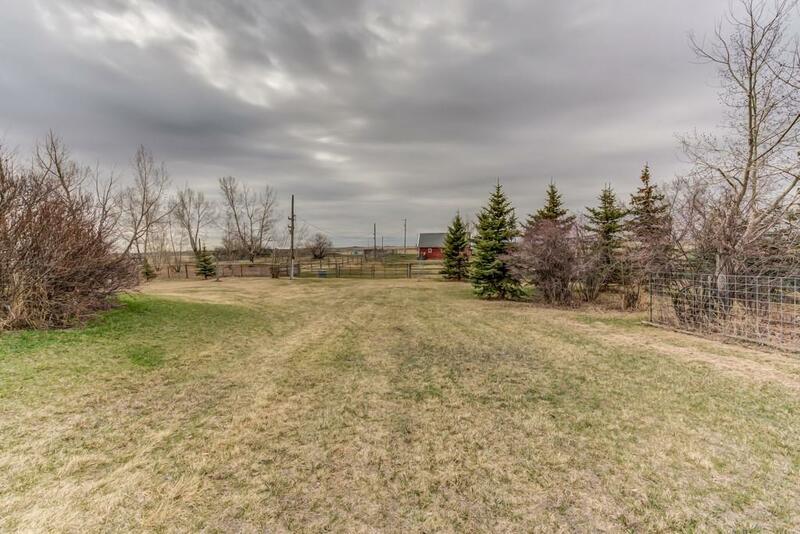 There is a oversized double detached garage with heated shop area & attached greenhouse, a huge 59'6" x 35'6"quonset with power - perfect for extra vehicles or farm equipment! The 32ft x 24ft barn features a concrete floor, metal roof & a large horse stall, also attached to this is a hay shed. 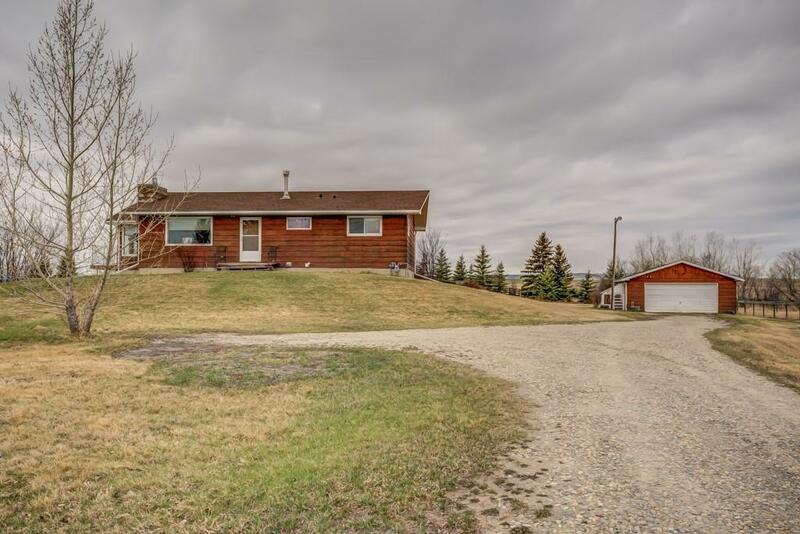 The land is fenced & is a great horse set up with numerous paddocks, there is a great shelter belt on the north side of the property to protect from the wind, a quiet & peaceful setting with gorgeous mountain views. On the main floor is a huge living room with hardwood flooring, fireplace & a sunroom with triple aspect for those views! Kitchen, large dining room, 2 good sized bedrooms & a 4 piece bathroom. In the developed basement is a huge L shaped family room with door to outside, another bedroom & 4 piece bath. HE furnace - view today!